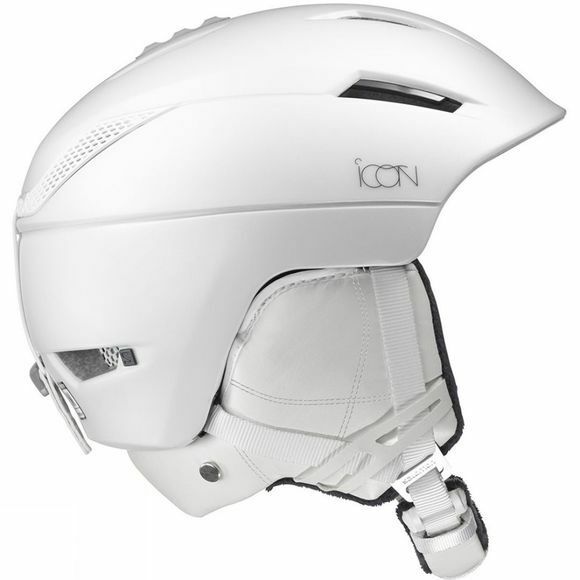 The women's Icon² Custom Air helmet from Salomon is slightly re-shaped from previous models yet still boasts a timeless all mountain design that retains its original low profile look. The helmet is ready for every resort skiing adventure thanks to Salomon's premium EPS 4D for greater safety. 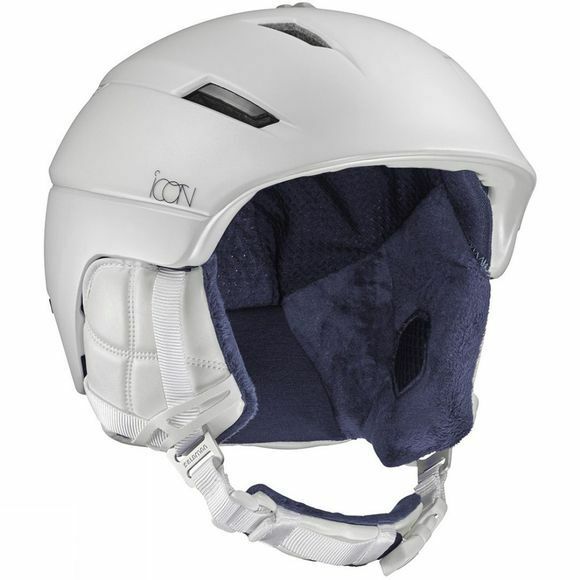 The patented EPS 4D molding solution not only protects your head but is more efficient than other helmets by dispersing and absorbing oblique and vertical shocks. Advanced skin liner keeps you cool under preasure whilst the aerodynamic design gives you a sleek silhouette.